With the theme "Social Media and Health Professions Education: Shaping the Future through Research and Innovation," the event highlighted the impact of social media in work, education, and research particularly in developing partnerships, encouraging collaboration, and building networks. 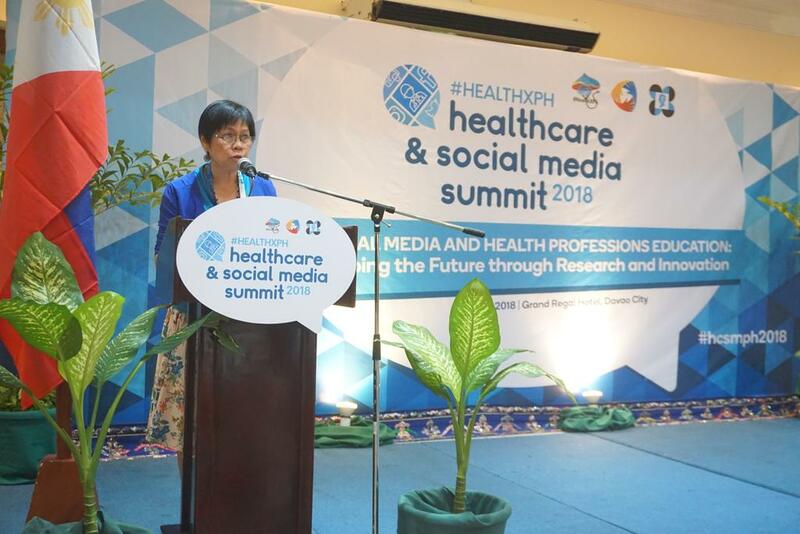 In his message read by Research Information Communication and Utilization Division Chief, Ms. Merlita Opeña, PCHRD Executive Director, Dr. Jaime C. Montoya, emphasized the importance of social media in the current generation as a tool in everyday life. He said, "Social media is used not only to share ideas and show interests, but also to build relationship and form communities."